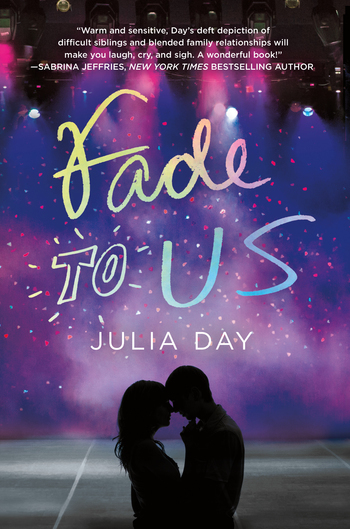 Julia Day's Fade to Us is a story about found families, the bond of sisterhood, and the agony and awe of first love. Brooke's summer is going to be EPIC— having fun with her friends and a job that lets her buy a car. Then her new stepfather announces his daughter is moving in. Brooke has always longed for a sibling, so she’s excited about spending more time with her stepsister. But she worries, too. Natalie has Asperger’s--and Brooke's not sure how to be the big sister that Natalie needs. I had been chasing the Thomas twins around their house for a half hour, begging them to put on their clothes, when the garage door whined up. Their mother was home. JULIA DAY lives in North Carolina, halfway between the beaches and the mountains. She has two twenty-something daughters, one geeky old husband, and too many computers to count. When she's not writing software or stories, Julia enjoys traveling to faraway places, watching dance reality shows on TV, and making a dent in her To-Be-Read pile. Julia is the author of YA contemporary romances The Possibility of Somewhere and Fade to Us (Feb 2018).